Climate change is inducing some logically straightforward adaptations in plants and animals. As Earth’s temperature warms, species used to cooler climates make moves to escape the newfound warmth: Some bird species are shifting their ranges northward; some fish are moving towards the poles; and some plants are slowly moving upslope. But recent research has uncovered another, less immediately obvious adaptation: As temperatures go up, some species are becoming—or are predicted to become—smaller. Last month, for instance, a study found that the size of European House Sparrows living in Australia and New Zealand corresponded with their region’s maximum summer temperature, with the smallest birds living in the areas with the warmest summer highs. Sam Andrew, the lead researcher on the study, recently published a different study on zebra finches that found similar results: higher temperatures mean smaller finches. This correlation could have implications for the birds’ sizes in the coming decades, as Earth’s temperature continues to warm. It’s not clear yet exactly why this difference in size occurs, but the study posits that the excess heat causes changes in baby birds’ development. Birds are far from the only animals whose size is impacted by extreme temperatures. A study published last month found that at least 22 beetle species were getting smaller when confronted with higher temperatures. 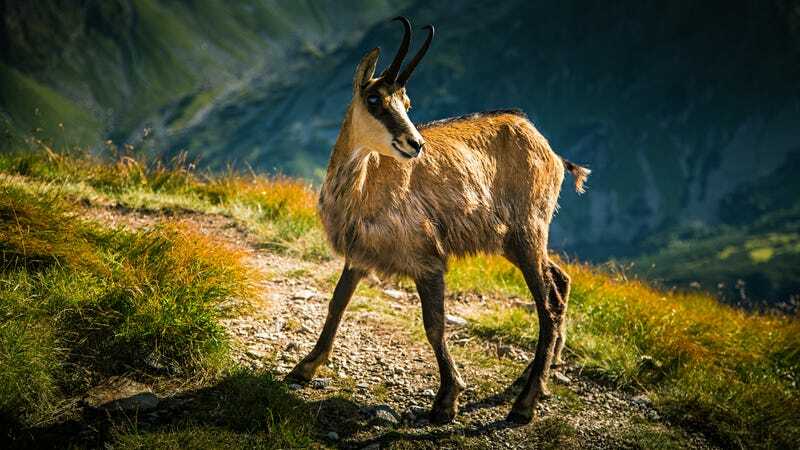 A 2014 study found a “striking” reduction in size in Alpine chamois mountain goats that was likely due to increased temperatures, with goats today weighing about 25 percent less than their 1980s peers. And multiple studies have found a shrinking trend in fish due to warming temperatures, with one paper predicting as much as a 30 percent reduction in size per one degree Celsius increase in water temperature for some species. For terrestrial animals, size’s relationship to temperature is often explained by Bergmann’s Rule: that generally, larger animals are found in cooler climates, and smaller animals are found in warmer climates. Research has shown that rising temperatures have led to shrinking in animals such as horses and primates in ancient warming periods, prompting predictions by scientists that the Earth’s current period of warming will see similar changes. However, a recently analysis found that contrary to Bergmann’s Rule most species have similar sizes regardless of the temperature of their environment. By looking at the weights and locations of nearly 274,000 individuals from 952 bird and mammal species, the authors found that for 79 percent of species, the correlation was not statistically significant. “These results suggest that Bergmann’s rule is not general and temperature is not a dominant driver of biogeographic variation in mass,” state the authors. Still, the 150-year-old rule does make some common sense. For some animals, lack of access to food or changes in foraging behavior may also play a role. In the case of the chamois mountain goats, researchers found that higher temperatures may have caused young goats to spend more time resting and less time foraging for food, which can be a tiring activity in the heat. Less time foraging means that the goats aren’t going to have as much body mass as goats who were able to forage regularly throughout cooler summer days. As for fish, warmer water holds less oxygen than cooler water, and also tends to speed up fish’s metabolism, which means they need more oxygen overall. So decreased size in fish may be a response to this decreased oxygen; the fish may not be getting enough oxygen to grow to their typical sizes. It’s not clear how this shrinking trend could impact species in the long run. It could have economic impacts: Smaller individual fish would mean a reduction in yield, Baudron said, which could affect the fishing industry. It could also cause changes in the food web—if predatory fish are shrinking, they may not be able to successfully target the same prey, which means they would have to switch to new prey or risk a reduction in food supply. Larger fish usually lay larger eggs, which have a higher chance of survival—leaving shrunken fish with lower chances of success. And when combined with other size-reducing factors—such as large-scale fishing, which tends to favor the largest individuals—it could increase stress on fish populations. The jury’s still out for how a reduction in size will affect birds and other species, too. If birds shrank too much, Andrew said, there could be impacts on fecundity and egg clutch sizes. But it’s likely that genetics would prevent the birds from getting too small, regardless of temperature—their potential for shrinking isn’t unlimited, in other words.